Palatal expanders—usually worn by preteens—are commonly used to widen the jawbone and help treat certain orthodontic conditions. Expanders help prevent tooth extraction and can sometimes shorten the time needed for orthodontic treatment. 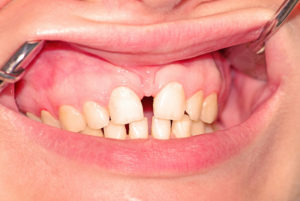 Expanders may sound extreme, but arch expansion is one of the most common ways to eliminate crowding and crossbites in growing patients. While adapting to a palatal expander usually takes a day or two, it may take up to two weeks. Learn all about palatal expanders and how they can help your orthodontic care! A child’s mouth is not like an adult’s mouth. An infant will begin to get their teeth between 6-12 months. They will have the bottom two front teeth come in first, followed by the upper two front teeth and so on towards the back of the mouth. These teeth will be spaced out more than the adult teeth and there will only be 20 instead of 32 like an adult has. The spaces will allow growing room in your mouth for the permanent teeth to come in once your child is old enough to get them. Between the ages of 6 and 13, your child’s baby teeth will begin to fall out in order to make way for the adult, permanent teeth. This is an exciting time, as your child is beginning to grow into a teenager, where they will have adult teeth. This childhood time of growing is the easiest time to fix bite and alignment problems. We not only do orthodontic treatment for adults, but also for children. The American Association of Orthodontics recommends that children have their first orthodontic visit between the ages of 7 and 8. Having an examination early-on helps prevent the progression of orthodontic issues that can become severe as your child ages. 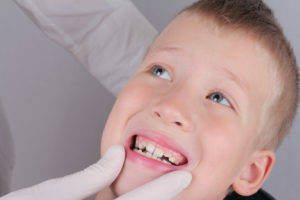 We mostly look for proper bite and teeth alignment, but we also make sure that there is enough room in your child’s mouth for the adult teeth to come in properly. If we find that your child’s bite is not aligned, we will fit them for braces. This will bring their bite back into proper alignment, thus reducing the risk of crooked and broken teeth, speech impediments, problems eating and chewing, and problems with the adult teeth. We refer to this early orthodontic intervention as “child orthodontics”. Some patients have a small mouth with a small palate. A small palate can cause many health problems, which is why we have a service for palatal expanders. Upper Jaw Palatal Expanders – An expander in the upper jaw of the mouth seeks to stretch the bone and cartilage of your palate. Expanding this area will grow and stretch a child’s arch so there is room for all the adult teeth. Making this extra room through natural stretching will prevent crowding of the teeth as well as cross bite problems in children. Palatal expanders in the upper jaw are actual appliances we stick in your mouth to stretch this area. We attach the expanders to your back molars with metal rings. In some patients, the attachments are removable. 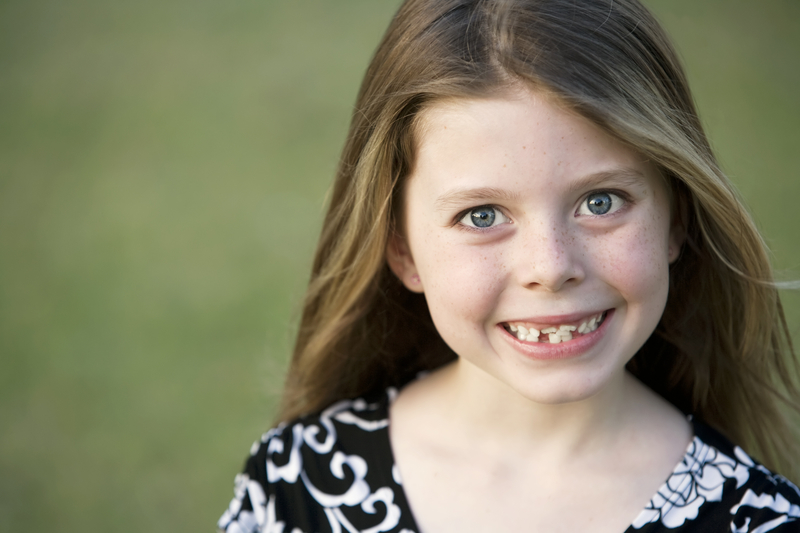 As a child’s mouth expands, you may notice a gap starting to form between the two front teeth. This is normal and their appliance is in for several weeks or months. Lower Jaw Palatal Expanders – This type of expander will simply moves the teeth if they are tipped inward instead of straight up. There are also other devices we use in certain cases when it comes to orthodontic care. Some patients will need TADs to help shift their teeth into a straighter position. These are “Temporary Anchorage Devices” that are mini titanium screws. These are sometimes referred to as “mini-implants” or “micro-implants”. They are screws that provide a fixed object that is used to push, pull, lift or intrude teeth during the straightening process. If you need tads, Dr. Hardy will carefully numb your gum tissue and jaw area before placing these tiny screws in your jawbone. With our local anesthesia, this procedure is completely painless and getting accustomed to your TADs only takes 1-2 days total. These anchorage mini screws will help your orthodontic treatment be faster. Dr. Hardy will evaluate your teeth to determine if palatal expanders, TADs and other appliances are needed for your teeth. Palatal expanders are needed before you receive braces and TADs are used during your time with braces. Palatal expanders is one step closer to a beautiful smile for our patients. If you want to know more or are ready to get braces, call Belmar Orthodontics today at (303) 225-9016!